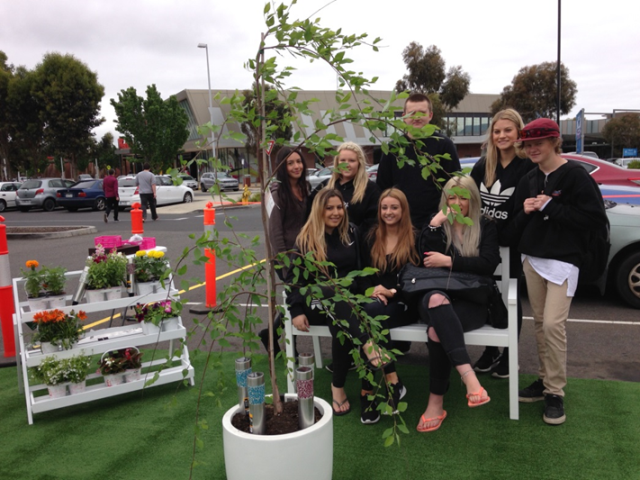 Green Day supported a young person from Whittlesea SC with her VCAL community project by helping her organise a pop up garden in the Westfield car park. This project was done in partnership with Masters and Westfield who donated the equipment and space. The project empowered a young person to realise a community project that involved partnerships with stakeholders. 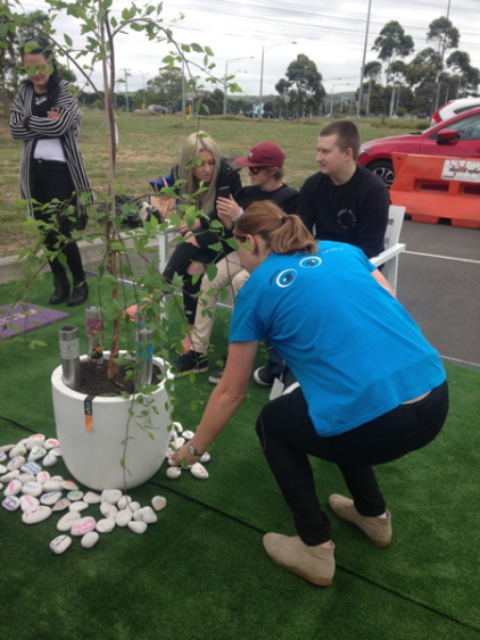 It provided a space for community interaction and to gather and engage in an art project asking people to write peaceful messages on stones to be placed around the tree. The participants were later given a tour by Westfield staff on what it’s like to work at Westfield, this was a direct outcome of the partnership formed with the school, Westfield and Baseline. Green Day provided a unique opportunity for young people at school to partner with traders in a community based project. Westfield provided the space and means to allow this project to happen, and Masters sponsored and staffed the event. It was great to see all the stakeholders come together to support students in their project to engage with communities. It also paved the way for further community partnership projects to happen with local businesses.